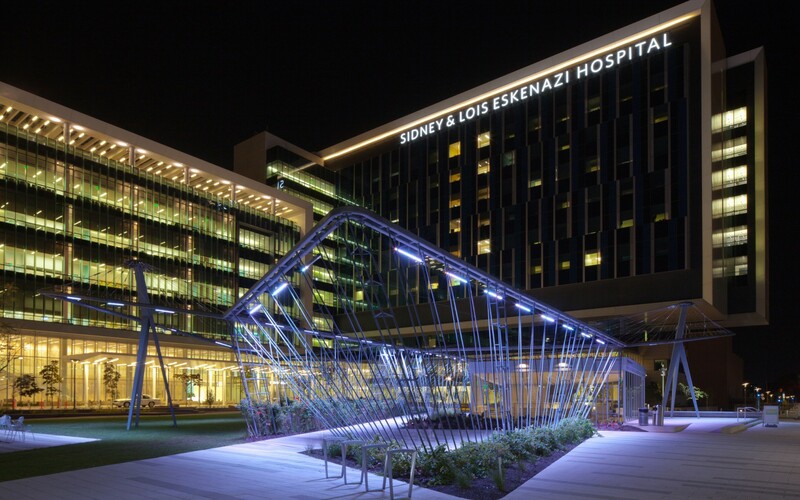 At the Eskenazi Health Hospital in Indianapolis, Tillett Lighting Design Associates (TLDA) used Lumenpulse luminaires to give the garden pavilion a soothing nighttime feel. TLDA developed a dynamic lighting system that changes throughout the year. 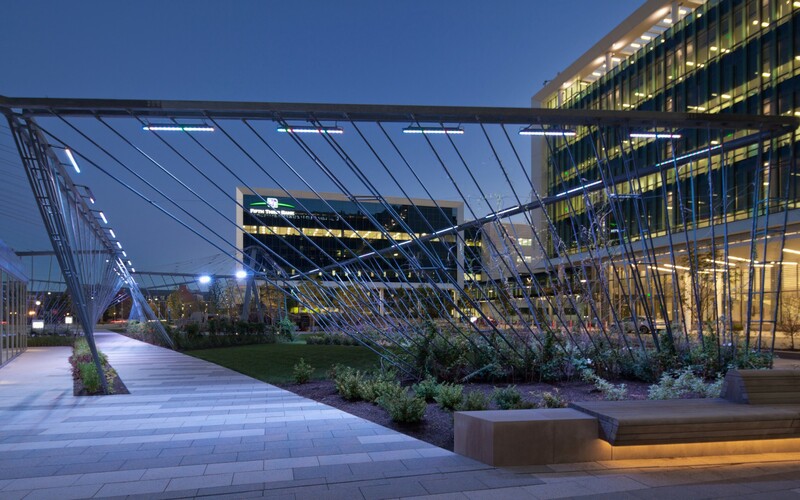 The firm selected Lumenfacade Color Changing luminaires. 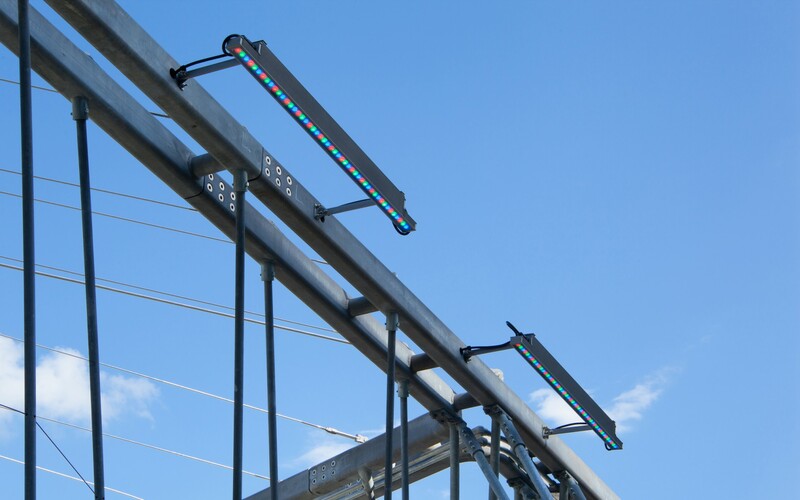 Mounted to the structural I-beams, the luminaires were aimed to prevent glare for neighboring patients. 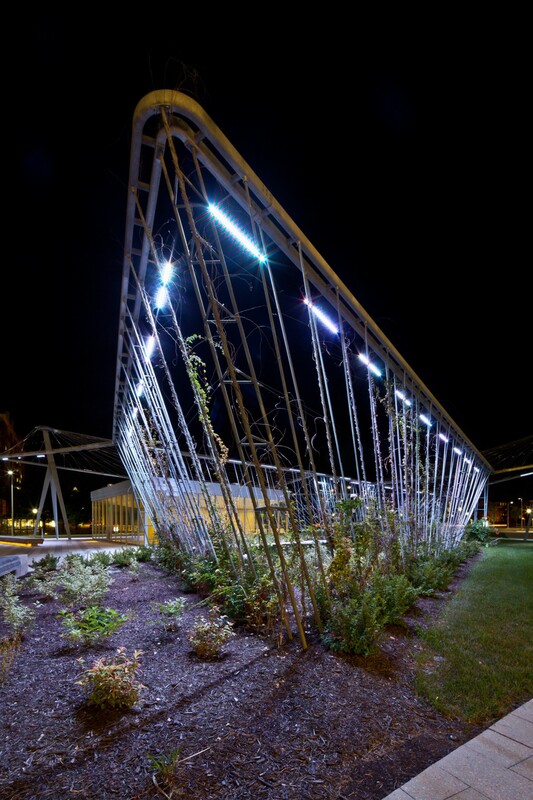 Taking a cue from the nearby plant life, the luminaires change color intensity and temperature with the seasons. During late night hours, the pavilion goes into “sleep” mode, dimming and shifting to a soothing, sleep-friendly lavender tone. The result is a vibrant public space, that is still soothing for patients, visitors and plants alike. 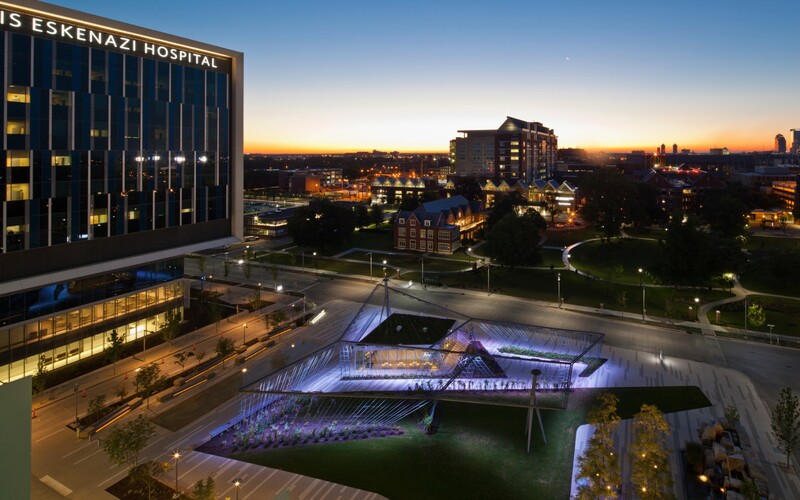 At the Eskenazi Hospital in Indianapolis, Indiana, Tillett Lighting Design Associates used color-changing luminaires to create a soothing, welcoming experience that evolves with the seasons. We needed a linear LED fixture with excellent color mixing, as we wanted to mix pastel hues and slight tones of color – not primary colors. Durability was another major concern, especially in an ever-changing climate. The Lumenfacade luminaires were an ideal solution. 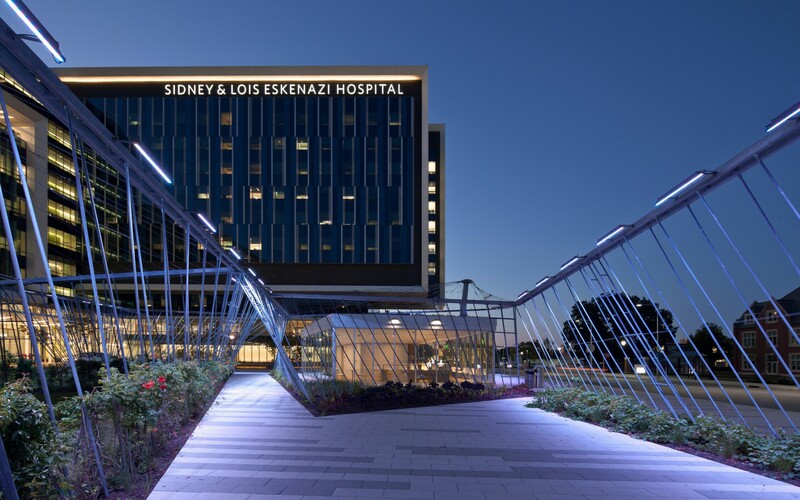 At the new Eskenazi Hospital in Indianapolis, Lighting designers Tillett Lighting Design Associates (TLDA) were engaged to develop a dynamic lighting scheme for the garden pavilion. 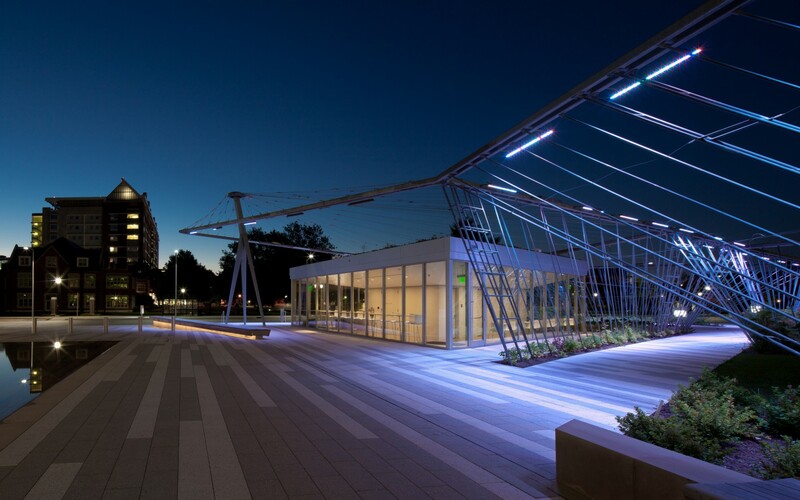 "Aside from emphasizing the pavilion's design - symbolic of a handshake - the goals were to ease navigation at night, create visual corridors to the entrance way, and ensure seamless integration with the surrounding architecture," said Alex Pappas Kalber, associate at TLDA. "This is a living pavilion - a vertical garden with plant growth supported by the structure itself. 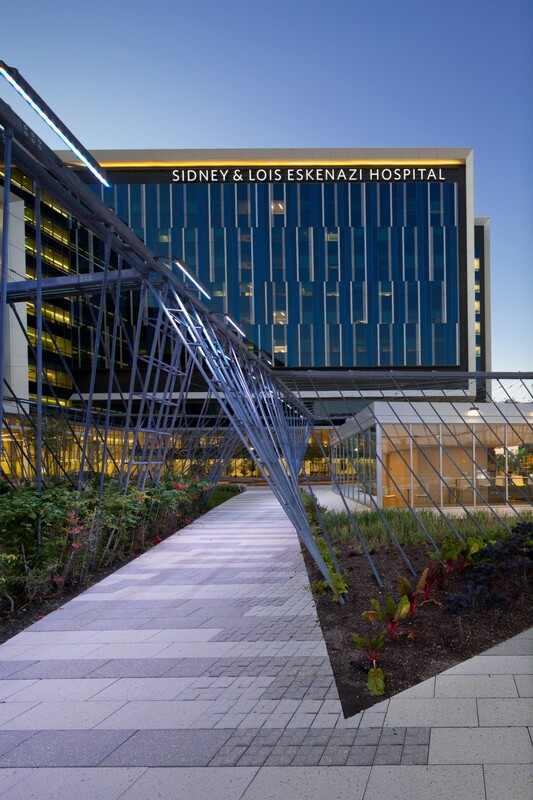 So aside from creating something that benefited patients and visitors of the hospital, it was important for us to develop a design that also accentuated that plant growth," she said. The firm decided on a dynamic lighting system that evolves with the seasons. "As the spring flowers bloom, our lighting shifts to express this, highlighting certain plant and floral patterns. In the winter, the light warms up and the pavilion becomes a hearth for patients and visitors to pass through. In the summer, things cool down and the pavilion gives off a refreshing visual cue," Pappas Kabler said. 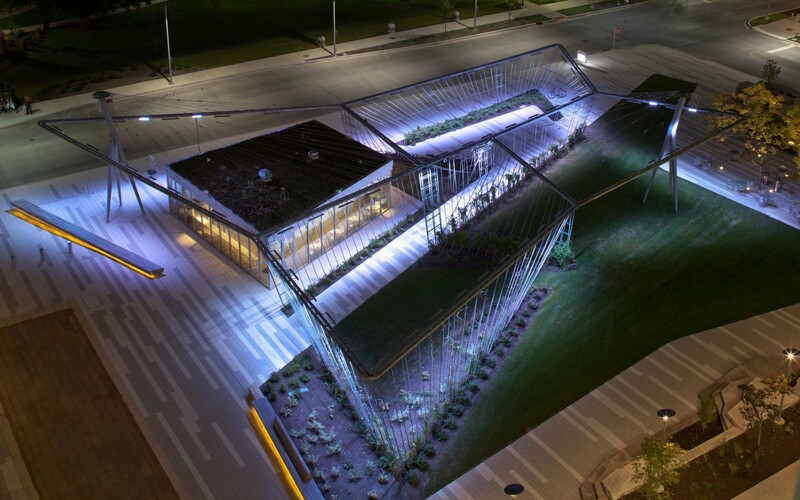 To bring this vision to life, TLDA selected Lumenfacade Color Changing luminaires. "We needed a linear LED fixture with excellent color mixing, as we wanted to mix pastel hues and slight tones of color - not primary colors. Durability was another major concern, especially in an ever-changing climate. The Lumenfacade luminaires were an ideal solution," said Pappas Kalber. 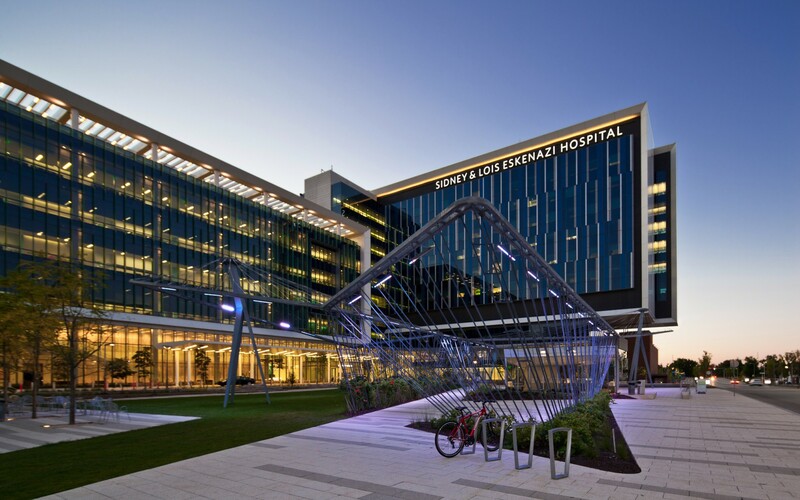 Mounted to the structural I-beams, the luminaires were aimed to prevent the potential impact of glare on neighboring patients. "We wanted to ensure the most comfortable viewing experience, so nothing is aimed above 90 degrees, and the luminaires are equipped with a custom glare shield," said Pappas Kalber, adding that the design is also programmed to be as discreet as possible. "During late night hours, the pavilion goes into "sleep" mode where it dims and shifts into a soothing lavender tone to support a quiet, sleep-friendly environment for the patients in the surrounding rooms," she said. The result provides an elegant public space, which does much more than guide visitors to the entrance way. "The space is completely transformed at night," Pappas Kabler said. "It's vibrant and alive, but still soothing for patients, visitors and plants alike."